reconference will take place from 10-12 April, 2019 at the Soaltee Crowne Plaza, Kathmandu, Nepal. Soaltee Crowne Plaza Kathmandu worked with CREA in 2011 to build accessible rooms for our South Asian conference - Count Me In! It was the only hotel in the city to adapt to the needs of people with disabilities. Ramps were created making all hotel spaces accessible. In addition, three disabled friendly rooms were built. In 2019 for reconference, CREA is proud to work again with Soaltee Crowne Plaza to ensure the conference venue is completely accessible and disabled friendly. 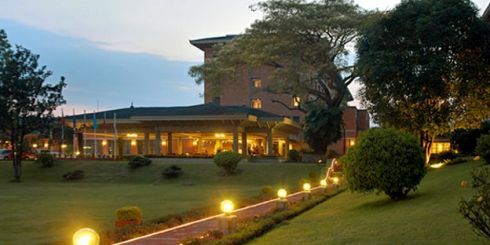 Accommodation for all participants is available at Soaltee Crowne Plaza, Kathmandu, Nepal. Register for reconference now and book your stay at reconference venue! All foreigners, except Indians, must have a visa to visit Nepal. Nepali embassies and consulates overseas are available to issue visa in advance easily but you can also get one on arrival in Nepal, either at Kathmandu’s Tribhuvan International Airport or at road borders at Nepalganj, Birganj/Raxaul Bazaar, Sunauli, Kakarbhitta, Mahendranagar, Dhangadhi and even the Rasuwagadhi checkpoint at the China/Tibetan border. SAARC countries can get a 30-day visa for free on arrival. A Nepali visa is valid for entry for three to six months from the date of issue. Children under the age of 10 require a visa but are not charged a visa fee. Citizens of South Asian countries (except India) and China need visas, but if you're only entering once in a calendar year, these are free. To obtain a visa upon arrival by air in Nepal, you must fill in an application form at one of the automatic registration machines, which will also take your digital photo. You can save some time by filling in the online form beforehand here and uploading a digital photo, but you must do this at least 15 days prior to your arrival date. A single-entry visa, valid for 15/30/90 days costs USD 25/40/100. At Kathmandu’s Tribhuvan Airport the fee is payable in any major currency, but at land borders, officials require payment in cash (US dollars); please bring small bills. Multiple-entry visas are useful if you are planning a side trip to Tibet, Bhutan or India and cost USD 20 extra. You can change your single-entry visa to a multiple-entry visa at Kathmandu’s Central Immigration Office for the same USD 20 fee. Please do not overstay your visa. You will pay a fine of USD 3 per day at the airport if you have overstayed less than 30 days (plus a USD 2 per day visa extension fee), but it is advisable to sort this out at Kathmandu’s Central Immigration Office, rather than at the airport, as a delay at the end of your trip could cause you to miss your flight. It’s a good idea to keep a couple of passport photos handy with your passport for trekking permits, visa applications, and other official documents. Nepal has one international airport, Tribhuvan International Airport, just east of Kathmandu. There are few direct long-distance flights to Nepal – getting here from Europe, the Americas or Australasia will almost always involve a stop in the Middle East or Asia. Nepal Airlines, formerly known as the Royal Nepal Airlines has been the most preferred choice of many since its inception in 1958. The airline provides air transport within and outside Nepal. Nepal Airlines with its low airfare and online booking facility has become the pride of the nation and has been diversifying itself over the last few years. Nepal Airlines flights connect the country to a host of international and local destinations. The aviation industry in Nepal has made significant progress after the establishment of Nepal Airlines that serves as the national flag carrier of the country. The airline garners a huge base of satisfied passengers owing to its cheap air tickets. For small health-related needs, there are dozens of pharmacies on the fringes of Thamel which sell all of the over-the-counter medicines and affordable antibiotics. CIWEC Clinic Travel Medicine Center In operation since 1982 and has an international reputation for research into travellers’ medical problems. Staff are mostly foreigners and a doctor is on call round the clock. Credit cards are accepted and the center is used to dealing with insurance claims. CIWEC Dental Clinic US is a dentist on the top floor of the CIWEC Clinic. Healthy Smiles offers a UK-trained dentist, opposite the Hotel Ambassador, with a branch in Patan. Nepal International Clinic is located just south of the New Royal Palace, east of Thamel. It has an excellent reputation and is slightly cheaper than the CIWEC Clinic. Credit cards accepted. NORVIC International Hospital Private Nepali is a hospital with a good reputation for cardiology. Patan Hospital is perhaps the best hospital in the Kathmandu Valley. Vayodha Hospital, situated at in the major orbit of ring road Kathmandu, is a multi-specialty hospital with the vision of ”Cure with Care”. It not only provides a wide range of health services from primary care to cutting edge treatments of complex and rare health problems but also aims at becoming a national leader in patient-centered committed to providing world-class preventive and curative care within the reach of every individual. This hospital is around 3 km away from Soaltee Crowne Plaza, the conference hotel. A simple but adequate medical kit can be very useful while traveling. The following items are recommended: Aspirin or Panadol, for pain or fever; Antihistamine, as a decongestant for colds, allergies and to help prevent motion sickness; Antibiotics, useful if traveling off beaten track but they must be prescribed; Kaolin preparation (Pepto-Bismol), Imodium or Lomotil, for upset stomach; Rehydration mixture – for treatment of severe diarrhea; Antiseptic, mercurochrome and antibiotic powder or a similar dry spray for cuts and scratches. Other things to be included are: Calamine lotion to ease irritation from bites or stings; bandages and band-aids for minor injuries; scissors, tweezers, thermometer, insect repellent, sun block lotions, chopsticks, water purification tablets, throat lozenges, moleskin, Sulamyd 10 percent eye drops, paracetamol and antacid tablets. The reconference venue has an in-house medical clinic managed by hotel-employed staff nurses. In addition, a hotel doctor visits the clinic twice daily: in the morning between 0700 HRS to 0900 HRS and in the afternoon between 1500 HRS to 1700 HRS. The hotel doctor is also available 24 Hours on call on chargeable basis. April is the hottest month of the year in Kathmandu. The average daytime temperatures are around 30°C (86°F) whereas the average minimum temperatures are about 12°C (54°C). However, some nights can be quite cold comparatively, even dipping to freezing temperatures, so make sure you have enough warm clothes packed to protect you. April is sunny and dry most of the time. You can expect sunshine for 6 to 7 hours a day. During the day you will only need t-shirts and shorts; however, because the evenings get very chilly, it is advisable to carry a warm jacket as well. For more information, you can visit places of interest.